Focus Wild Arizona is the Arizona Game & Fish Department’s award-winning wildlife education program. 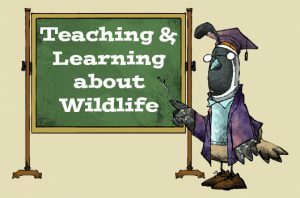 The goal of the program is to promote awareness, appreciation and stewardship of the state’s wildlife resources by using wildlife as a context for learning science, social studies, math and language arts. The program includes complete lesson plans, books, posters, workshops and much more. Most of these resources are free and available for download directly from this website. Others are available through each regional office or the department’s main office in Phoenix. Email updates about our education programs or other wildlife news, check out our electronic newsletters.